Helix Sleep founders Jerry Lin, Kristian von Rickenbach and Adam Tishman (L to R). With a group of hot new startups springing onto the scene, the mattress industry is anything but sleepy. The latest contender in the industry’s pillow fight is New York City-based Helix Sleep, an online mattress company that officially launched today. Helix customers take a quiz, answering questions about their body structure, sleeping routines and mattress preferences. Using an algorithm complete with 3-D human body modeling, the company then makes a recommendation as to which of its mattresses is the best fit. The mattress is custom built in a factory in Chicago and then shipped to customers’ door in a box about the size of a case of golf clubs. After it’s removed, it expands to its proper size. Prices range from $600 to $1,095 and each mattress comes with a 100-night guarantee. The company is looking to compete with the well-marketed startup Casper, which offers a similar pricing scheme, delivery method and guarantee. Launched in April 2014, Casper has sold more than 50,000 mattresses and raised $70 million in total venture funding, including investments from celebs such as Ashton Kutcher, Leonardo DiCaprio and Tobey Maguire. Sales were at $30 million last year and are expected to hit $100 million this year. Helix says it has an edge over Casper in that it personalizes each mattress while Casper offers one mattress for everyone. 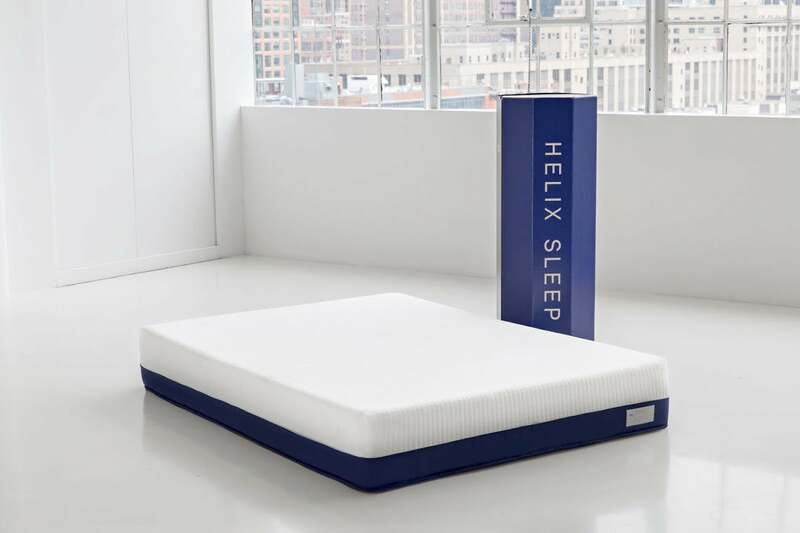 “If there is a 300-pound, 6’5” man and a 120-pound, 5’2” woman, those two people have very different needs from a product perspective of what they need out of their mattress,” says Kristian von Rickenbach, one of Helix’s founders. “To gloss over that is doing them a disservice.” Helix has a partner option where each half of a single mattress can be made to different specifications. 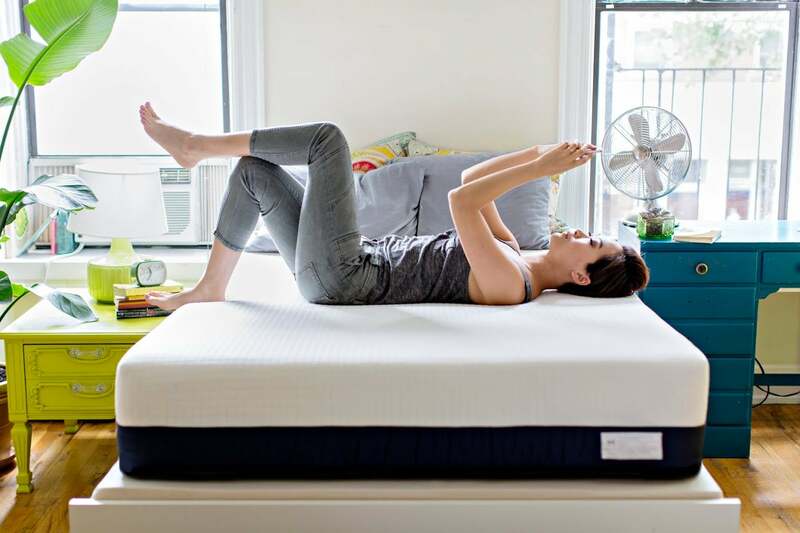 Helix, Casper and other budding mattress startups such as Leesa are up against giants. The largest three mattress companies in the U.S. -- Serta, Sealy, and Simmons -- continue to dominate U.S. mattress sales and have only strengthened over the last few years. In 2002, they represented a combined 54 percent of the market. Last year, they represented 75 percent, according to a report from Bank of America. Von Rickenbach and co-founders Adam Tishman and Jerry Lin graduated from business school in May. The trio started work on Helix Sleep while still in school. Before getting into the mattress hustle, and before getting their MBA, the Helix Sleep boys all worked in corporate America at the likes of Goldman Sachs and Google. Being new, first-time entrepreneurs has been an education all its own. “A big part of the learning experience in starting a company has been getting really comfortable with organized chaos,” says von Rickenbach. Working at Google meant that there were org charts to organize the org charts to plan the org charts, he says. Not so when you have a three-man founding team plus a small additional handful of contractors, interns and staffers. Everybody on staff does a bit of everything all the time, decisions get made quickly and without bureaucratic hurdles, and not knowing how you are going to solve your next problem is par for the course in startup land, says von Rickenbach. The co-founders have learned to turn to each other to manage the stress of starting up. And even at this stage, just at the official launch gate, they have learned to take time to celebrate their wins -- all of them, even if they are small. The celebration can be as simple as grabbing a beer or getting lunch together. Also, on a monthly to bimonthly basis, the three co-founders go out to dinner and step back from the daily operations to assess how they are doing and where they are going. “We have found that super helpful to pull us out when we are really deep in the weeds and getting stressed out with the minutia,” says von Rickenbach. Of course, there are some obvious benefits to being in the mattress business. “Luckily in our office, we have a different room with a mattress in it. So when I get too low or too high, I can just go in there and take a quick nap,” says Tishman.